Located in Phnom Penh City Centre, this hotel is within a 15-minute walk of Sorya Shopping Center, Independence Monument, and Central Market. Royal Palace and Riverside are also within 1 mi (2 km). Phnom Penh Railway Station is 21 minutes by foot. 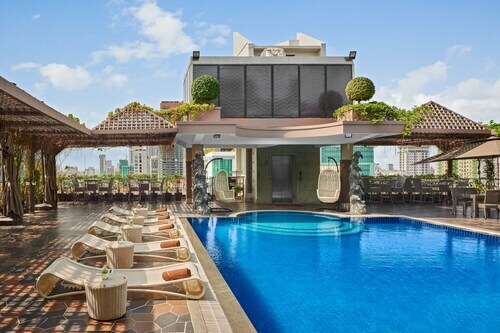 Located in Phnom Penh City Centre, this luxury hotel is within a 15-minute walk of Central Market, Riverside, and Wat Phnom. National Museum of Cambodia and Royal Palace are also within 2 mi (3 km). Phnom Penh Railway Station is 5 minutes by foot. Located in Phnom Penh City Centre, this spa hotel is within a 10-minute walk of National Museum of Cambodia, Riverside, and Royal Palace. Independence Monument and Wat Phnom are also within 1 mi (2 km). Phnom Penh Railway Station is 23 minutes by foot. Located in Phnom Penh City Centre, this spa hotel is within a 15-minute walk of National Museum of Cambodia, Wat Phnom, and Central Market. Royal Palace and Independence Monument are also within 1 mi (2 km). Phnom Penh Railway Station is 18 minutes by foot. 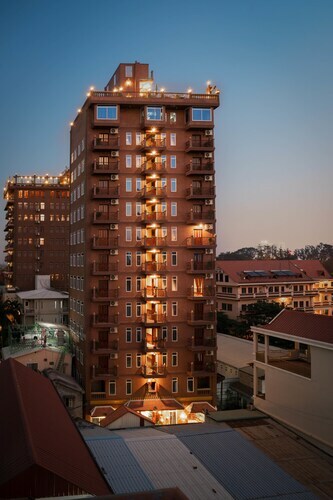 Located in Phnom Penh City Centre, this hotel is within a 15-minute walk of Independence Monument, Riverside, and Royal Palace. AEON Mall and Central Market are also within 1 mi (2 km). Phnom Penh Railway Station is 29 minutes by foot. 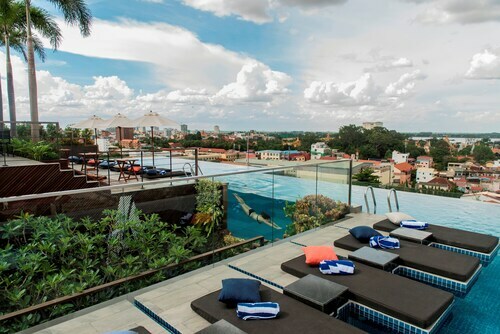 Located in Phnom Penh City Centre, this spa hotel is within 1 mi (2 km) of Central Market, National Museum of Cambodia, and Independence Monument. Royal Palace and Riverside are also within 1 mi (2 km). Phnom Penh Railway Station is 18 minutes by foot. 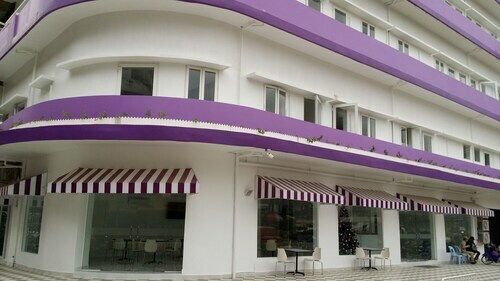 Located in Phnom Penh City Centre, this hotel is within 1 mi (2 km) of Sorya Shopping Center, Central Market, and Wat Phnom. Riverside and Phnom Penh Night Market are also within 1 mi (2 km). Phnom Penh Railway Station is 5 minutes by foot. 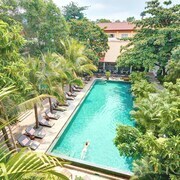 Located in the center of Phnom Penh, this family-friendly hotel is within a 10-minute walk of Wat Lang Ka and Independence Monument. Riverside and Royal Palace are also within 1 mi (2 km). Phnom Penh Railway Station is 28 minutes by foot. Located in Phnom Penh City Centre, this hotel is within a 10-minute walk of Cambodia-Vietnam Friendship Monument and Independence Monument. Riverside and Royal Palace are also within 15 minutes. 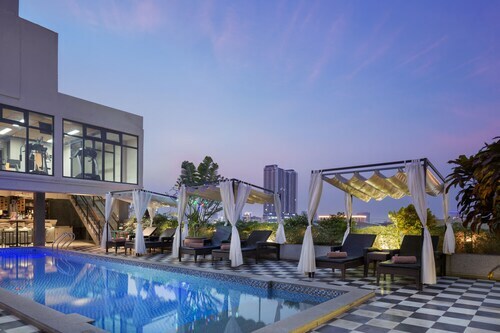 This family-friendly Phnom Penh hotel is located on the boardwalk, just steps from Silver Pagoda and Riverside. Royal Palace and Independence Monument are also within 15 minutes. Located in Phnom Penh City Centre, this hotel is within 1 mi (2 km) of Independence Monument, National Museum of Cambodia, and Royal Palace. Central Market and Tuol Sleng Genocide Museum are also within 1 mi (2 km). Phnom Penh Railway Station is 26 minutes by foot. 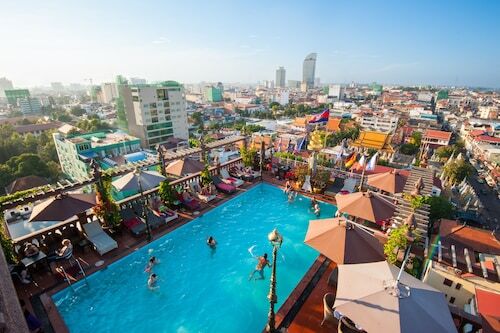 How Much is a Hotel Room in Phnom Penh City Centre? 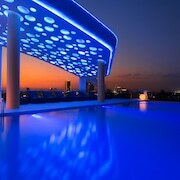 Hotels in Phnom Penh City Centre start at $16 per night. Prices and availability subject to change. Additional terms may apply. 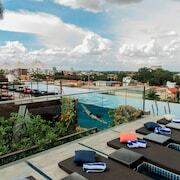 Nowhere else can you find better deals on Phnom Penh City Centre area hotels. You’ll find the best prices on the quirky, the haunted, the old, the new, and the legendary. If you’re wondering what side of the pricing scale some of these hotels fall on, you need not to worry. 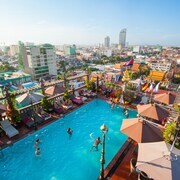 Compare cheap hotels near Phnom Penh City Centre to find the perfect one to will fit your budget. Leave the ordinary routine you’re set on behind and go. Go anywhere you want. 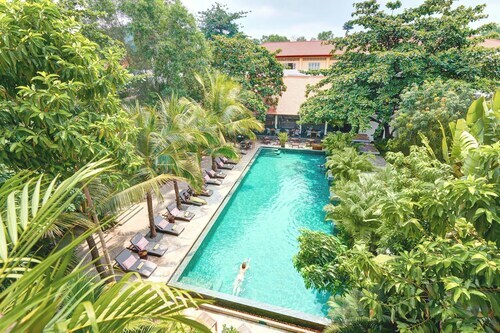 Anywhere that makes you think, “I wonder what that’s like?” Part of Travelocity’s mission is to get you off-the-beaten path and the hotels near Phnom Penh City Centre are perfect for that. Find your new favorite watering hole on a quiet street. Discover a place to escape for the weekend with tasty local fare and unique sights. We want you to consider the places outside your normal comfort zone. 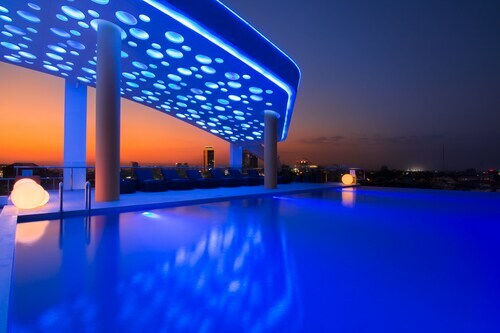 Browse our selection and find the ideal hotel, in a place you’d like to explore. Location was excellent. Staff was awesome. Rooms were great. I might actually live there for 2 months upon my next visit. The little cabanas where you could put your feet in the pool were quite delicious during the hot days .Order lunch there or some cocktails, and it makes the late evening quite relaxing. The staff were exceptionally helpful and cheerful. Very beautiful property. 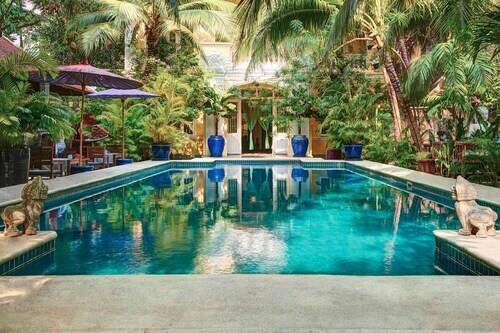 Really nice pools. Good breakfast.